Improving your WordPress SEO is crucial for getting more traffic to your website. Sadly most WordPress SEO guides are too technical for new users to get started. If you are serious about increasing your website traffic, then you need to pay attention to the WordPress SEO best practices. In this guide, we will share the top WordPress SEO tips to help you improve your WordPress SEO and get more organic traffic. 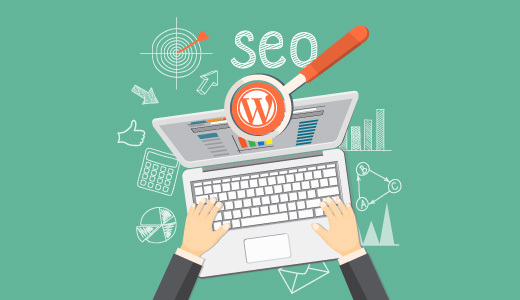 While WordPress makes sure that the code it generates follows the SEO best practices, there is a lot more you need to do if you want to maximize your SEO efforts. We have a number of actionable steps that you need to take to properly optimize your WordPress SEO. To make it easy, we have created a table of content to help you easily navigate through our ultimate WordPress SEO guide. Finally, see more SEO tools and resources to take your WordPress SEO even farther. We know the idea of optimizing for WordPress SEO can be intimidating for beginners, especially if you’re not not a tech geek. But don’t worry — it doesn’t have to be complicated. Start here to learn the basics, and then you can start applying them to your own website. Search engine optimization isn’t about tricking Google or gaming the system. It’s simply about creating a website that has optimized code and formatting which makes it easy for search engines to find your website. When people search the web for the topics you write about, your search-engine-optimized content will appear higher in the search results, and you’ll get more people clicking through to your website. Search engines are often the biggest source of traffic for most websites. Google and other search engines use advanced algorithms to understand and rank pages appropriately in search results. But those algorithms aren’t perfect — they still need your help to understand what your content is about. It is really important for all business owners to make their website search engine friendly, so that they can maximize their search traffic. SEO can get technical, but it doesn’t have to be. 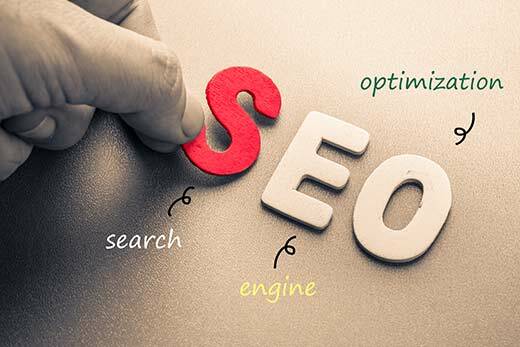 Just learning a few basic SEO tips to optimize your site can give you a noticeable boost in your website traffic. You don’t have to be a tech genius to use the techniques below. If you’re already using WordPress, then you’ve got what it takes! Let’s get started optimizing your website. However, sometimes this option can get checked accidentally and it makes your website unavailable to search engines. If your website is not appearing in search results, then the first thing you need to do is to make sure that this option is unchecked. Simply log in to the admin area of your WordPress site and visit Settings » Readingpage.